for many people is sometimes needed, but also dicuekkan. For those who need the services the salon does tend to pay attention to appearance. But for those who do not, there are many reasons. However, we felt, particularly those living and visiting Bandung must know anywhere salons are located. Surely not just a salon, but the salon that can give satisfaction and comfort. If in the past salon synonymous with women who cut his hair. However, now it is much evolved since this salon can be used as a business opportunity. Now the salon is not only for those with an interest in hair alone, even more than that. 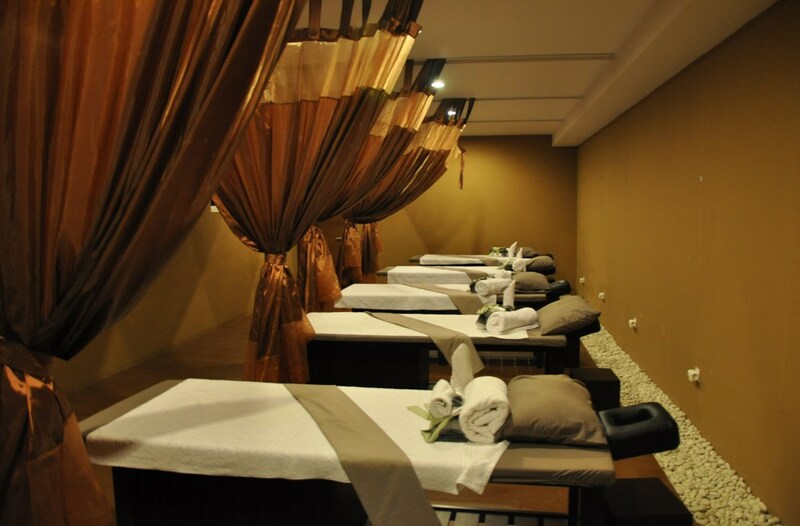 In a salon is accompanied by a relaxation, massage, sauna, facials, and other health facilities. Moreover, not only the women who love to come to the salon, even with men also have many who visit it. In addition to repair the hair, as well as from people here who want to get a lot of relaxation aromatherapy. With many salon customers, especially in large cities such as Bandung then the more popping salon. Here are three salons in Bandung, which can be used as a reference. If calling salon in Bandung, of course, the first called is Anata. Salon Anata it has become a trademark in Bandung. Not only that, this salon also has a good reputation in many customers. Anata always give priority to customer satisfaction. To that end, Anata salon has a lot of care for the entire body. For example, for hair that dicreambath alone there are quite a lot of choice cream. Not only that, other facilities, such as massage massage is also available. Of course, equipped with special equipment and techniques. Not forgetting the other facilities, such as boutiques and bakery located in the same building. Anata salon has had quite a lot of branches in Bandung, such as in Jalan Pasir Kaliki 179, Jalan Surya Sumantri 32, Jalan Astana Anyar 49, Jalan Emong 14, Jalan Banteng 28, Jalan Windu 3, and there is also in Jakarta, such as the Road H. Samanhoedi 40B and Harco New Market. One more salon that can be used as a reference is Roger's. Why? In addition there are treatments for hair, here also the customer can perform other treatments, such as spas, health consultations face, as well as fitness facilities that include dance, yoga, aerobics, salsa, and much more. Not only for the treatment alone, Roger's also provides a café and lounge are very comfortable. Given this place is certainly very appropriate because in addition to pamper the body, can also spoil the tongue. There are many choices of national menu, traditional, and also internationally at the venue. If you're vacationing in Bandung, it never hurts to relax the body before returning to home town in Roger's this. Roger's Bandung branch is located at 97 Jalan Dago and Jalan Student Fighters 45 No. 76. The next salon that can be used as a reference is La Diva. It is quite interesting from La Diva salon is not only open only treatment, but also with the wedding salon. Yes, at La Diva indeed there are specific areas of this marriage. For service in the salon itself is not much different from the salon in general. But for the wedding package, herein lies the advantage of La Diva. Bridal makeup combined with fashion has become his trademark. Many interesting collections of bridal fashion, as is traditional, modern, or even shades of Malay. Even La Diva has been trusted by clients neighboring countries, such as Singapore and Malaysia. To try wedding makeup of La Diva, we can go in Jalan Karang Tineung No. 1 Bandung. Salon in Bandung is quite a lot, but three of the salon feels could be a reference to provide comfort and satisfaction. Congratulations to relax.